The study also stressed that sand can be extracted only in slice/layer-wise pattern over the river bed up to a depth of one metre. Also, earth movers should not be used. The study also stressed that sand can be extracted only in slice/layer-wise pattern over the river bed up to a depth of one metre. MANGALURU: The bathymetry study carried out by the National Institute of Technology Karnataka (NITK) has found that there are 8,50,627 metric tonnes of sand deposits in Nethravati and Phalguni rivers which could be extracted. The study also stressed that sand can be extracted only in slice/layer-wise pattern over the river bed up to a depth of one metre. Also, earth movers should not be used. As much as 85,064 truck-loads of sand — considering each truck capacity to be 10 tonnes — could be extracted from the 22 blocks or deposits from these rivers, the study found. The study came after traditional fishermen submitted a representation to the District Commissioner of Dakshina Kannada district seeking extraction of deposited sand from river channels to ensure smooth navigation of fishing boats in the Coastal Regulation Zone (CRZ) areas. Accordingly, the Department of Applied Mechanics and Hydraulics, NITK, was entrusted with the task of identifying sand deposits in river channels keeping in mind CRZ areas and sustainable sand mining management guidelines 2016. The study authors were Prof Amba Shetty and Dr Pruthviraj. 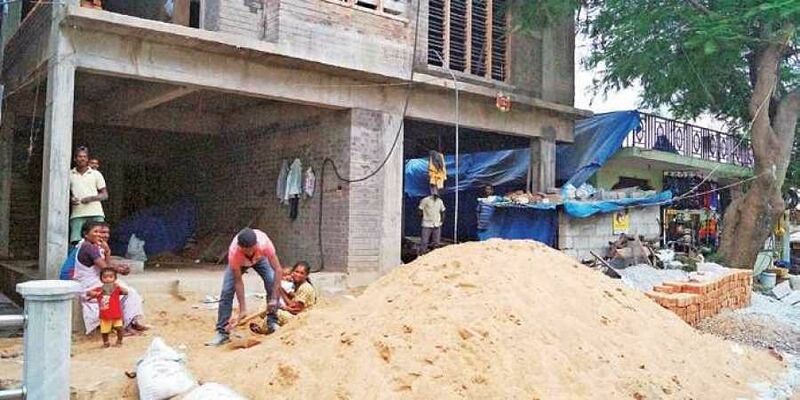 Deputy Commissioner Sasikanth Senthil said, “The objective of the study is to find sand deposits and mining sand from Coastal Regulation Zone is not allowed”, he stressed. To mine the sand, further ramifications have to be studied and only traditional sand miners should be roped in for sand extraction, according to official sources.